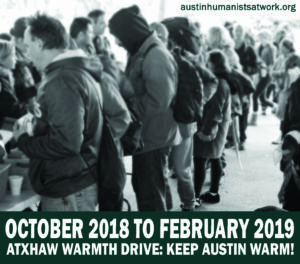 ATXHAW Warmth Drive: Keep Austin Warm! 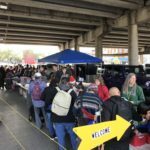 Austin Humanists at Work is looking for community support to collect new and used, warm: coats, hats, scarves, gloves, shoes & clothes in clean condition for monthly giveaways starting October. No only are we looking for clothing but we’re looking for blankets, sleeping bags, and sleeping mats. Visit our Amazon Wish List to see the other items that are always in high demand over the winter. We will be running this drive all winter in hopes that every person who comes through our lines stays warm. 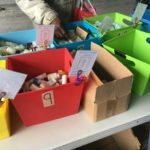 We depend on your contributions but also your word of mouth to collect as many items as we can to get a wide assortment of sizes. So pass this information on anywhere you can. 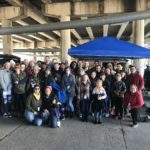 We have a large network of people to help pick up your wonderful contributions. CLICK HERE to visit our “Donate” to request a pick up or information for drop off locations. Do you knit, crochet, or sew? Gettin’ Knotty knits, crochets, and sews washcloths, scarves, hats to add a handmade personal touch to our donations. 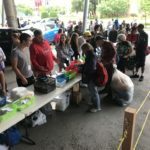 They meet every Thursday before each monthly giveaway at Barnes and Noble Arboretum from 7- 10pm in the café. You can also use this location and time to drop your donations off with members of Gettin’ Knotty. Thank you from the bottom of our hearts for your generous donations.